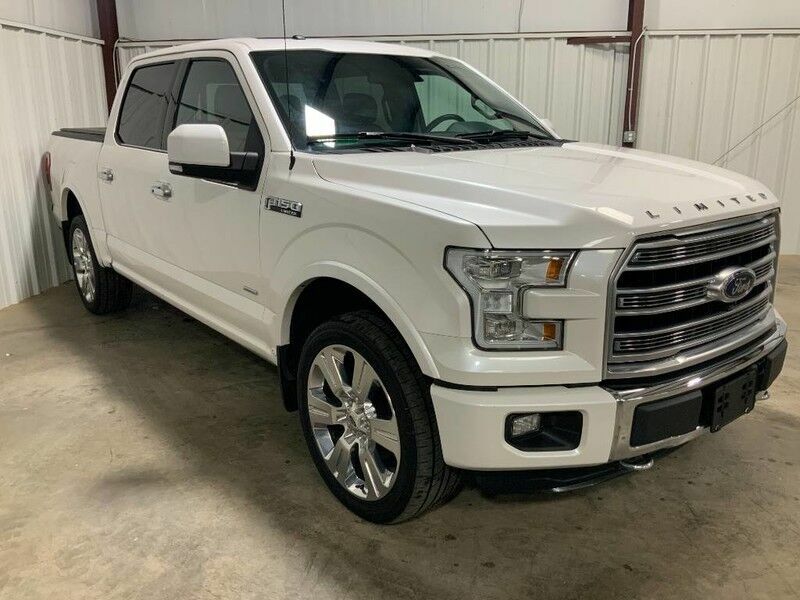 Rowe Motorcars is honored to present a wonderful example of pure vehicle design... this 2016 Ford F-150 Limited only has 30,954mi on it and could potentially be the vehicle of your dreams! This vehicle is loaded with great features, plus it comes with the CARFAX BuyBack Guarantee. Enjoy an extra level of calm when purchasing this Ford F-150 Limited, it's a CARFAX One-Owner. The CARFAX report shows everything you need to know to confidently make your pre-owned purchase. Put performance, safety, beauty, sophistication and all the right amenities into a car, and here it is! Now you can own luxury without the luxury price tag! This 4WD-equipped vehicle will handle majestically on any terrain and in any weather condition your may find yourself in. The benefits of driving an Four Wheel Drive vehicle, such as this FordF-150 Limited, include superior acceleration, improved steering, and increased traction and stability. This Ford F-150 is equipped with navigation, so you no longer have to wonder if you're headed in the right direction. If you are looking for a pre-owned vehicle that looks brand-new, look no further than this White Platinum Metallic Tri-coat Ford F-150. This Ford F-150 is well-equipped, well-cared for and still covered under the manufacture's factory warranty. Engineered with the latest in technology and features, this vehicle is an automobile lover's dream. This extremely hard to find Ford F-150 has made its way into our dealership.